Our modules are our lectures. It is here, as in our lectures, where we place our key information and our interpretation of the class content. 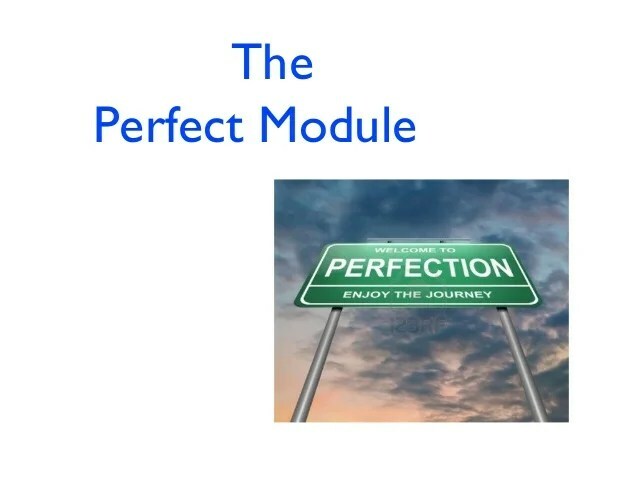 Modules are like mini lectures with a beginning, middle and end with a variety of support materials. But how interesting, exciting, and informative are they? Too often we post a collection of text materials around a subject and wonder why students don’t read them. In this session we will look at a variety of strategies to create a module that is informative, engaging and something students will want to read. To do this we will look at the overall structure of a module including an introduction that “grabs” students, the flow of a quality module, how to make it “look pretty,” different types of materials to support your ideas including videos, and even some thoughts from the Quality Matters program on designing great modules. What is module’s overall purpose? What are the module goals or objectives? Did module fulfill the objectives? Why should student care about the module? How readable are the modules, language choice, fonts, colors? Is a section effectively instructional? Is a section just taking up space?